This post is sponsored by MomTrends. All opinions are my own. The Baby Show showcased over 200 brands and held very useful seminars like Breastfeeding Q&A with Shari Criso & Jamie Grayson. 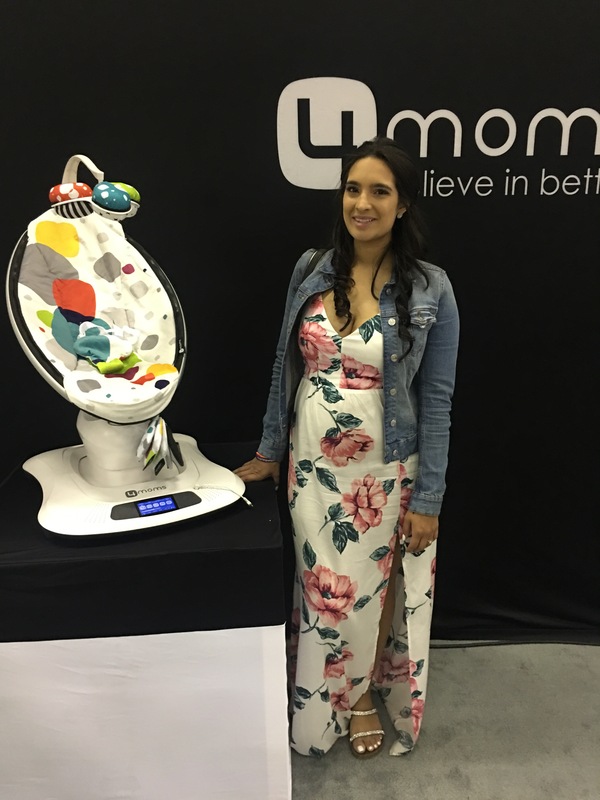 As a first time expecting mom I was really content that I attended the Show because I left the expo with greater knowledge and understanding of what products could work for me. Vendors provided coupons, samples and some vendors where even selling products at discounted prices on the spot which was pretty cool. 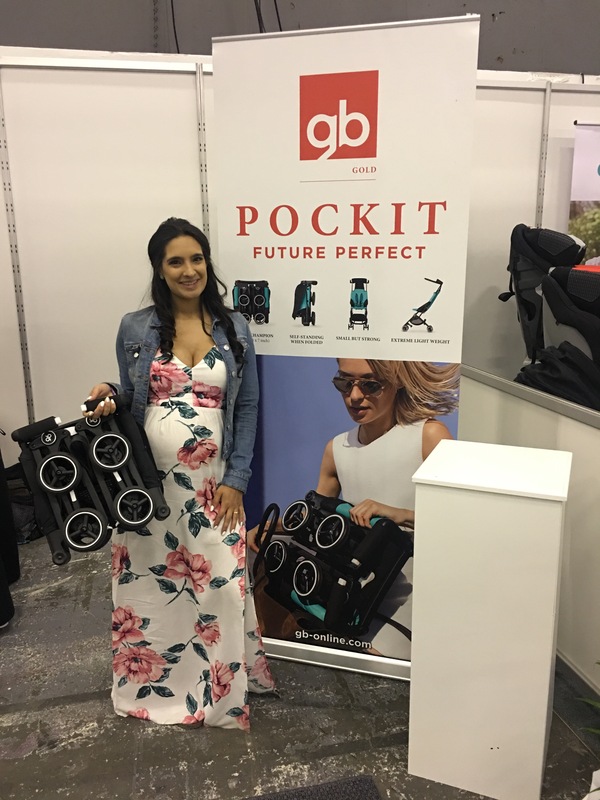 I am so obsessed with the GB Gold Pockit stroller. It’s the world’s smallest folding stroller (Guinness World Records 2014). How cool is that?! 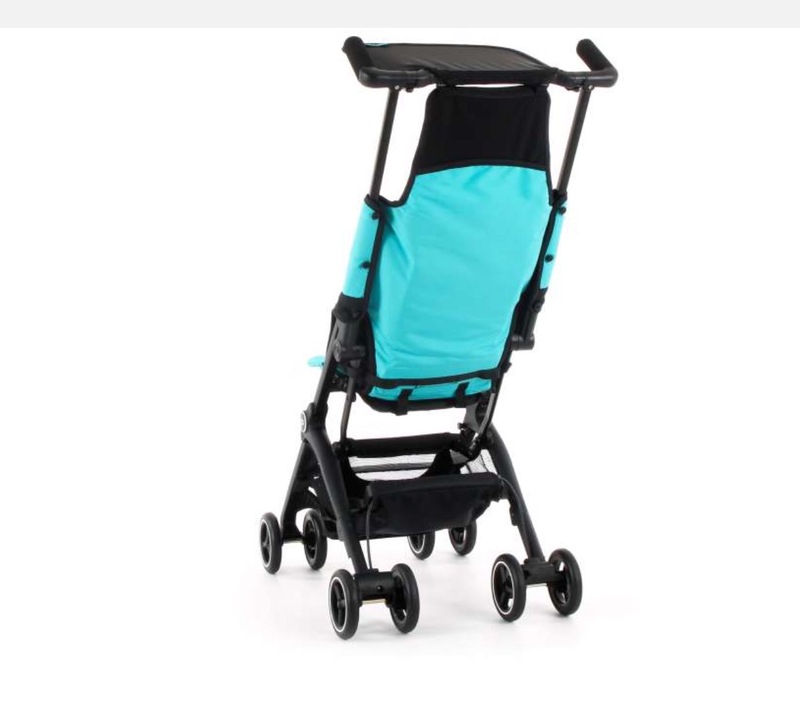 When folded it is the smallest and most compact stroller currently available on the market, 12″ x 7″ x 20″ to be exact. It’s super lightweight, under 11 lbs. I carried it and it was lighter than my hand bag. It ranges from 6 months up to 55 lbs (approximately 5 years old ) It’s super easy to fold up and open, in just 2 quick steps it folds. It’s practical for when your on the go, it’s great for travel , it fits in any train or plane compartment so it’s easy to stow away. The best part is that it’s affordable you can find it on Amazon for $180. They also have a variety of 6 different colors to choose from. My favorite is the posh pink. When I saw this Diaper bag I fell in love instantly. The most important thing is that its functional and fashionable. I am obsessed with the color, it is not the typical light pink, it is more of a rose gold, blush pink color perfect for the summer. I also liked that it looks like a handbag and not a diaper bag. I have seen moms carry both a diaper and handbag and I been looking for a diaper bag in which I wouldnt need to carry a separate handbag. This bag is super light weight, at only 1.9 lbs. The Fabric is easy to clean and protects from unpredicted spills. 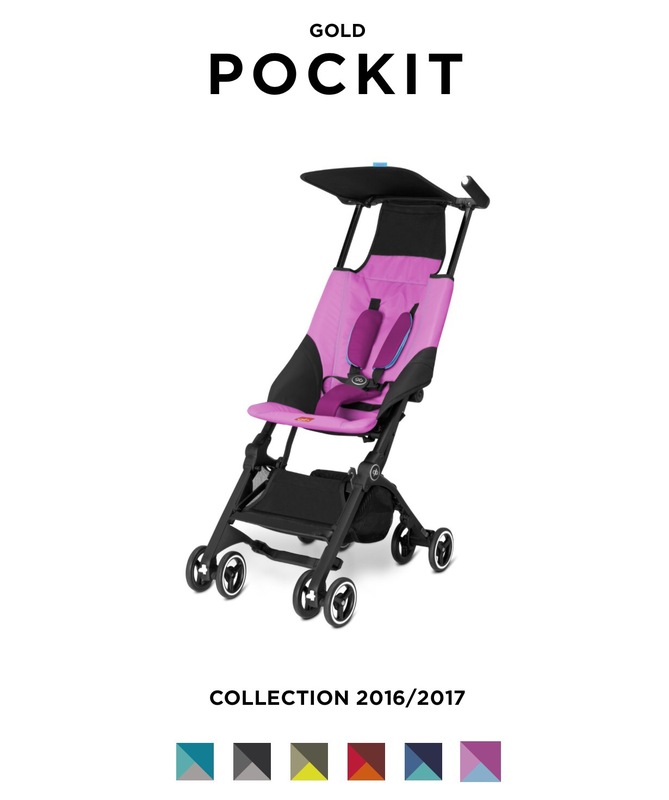 As you can see in the photo above It has a spacious interior, when you open the bag you can see all your contents cleary, it has duo hidden pockets in the back which are perfect for baby essentials. It has built in stroller straps along with messenger straps for a second option of wearing. You can purchase the bag on HAPP for 169$. Also Make sure to check out their other Diaper bags which are just as functional and fashionable as this Paige Carryall Diaper Bag. Yes , I am a first time expecting mom, but I have seen my sister and I myself have had to rock and bounce my nephew around for him to fall asleep or stop crying, so when I saw this product I though how convenient this was, especially when you have to get things done around the house and cant sit their to rock and bounce the baby around. The MamaRoo infant seat bounces up and down and sways from side to side, just like parents do when comforting their babies. It features five unique motions (car ride, Kangaroo, Tree swing, Rock-a-baby & wave) and five speed options. Its blue tooth enable so you can control the motion, speed and sound from your smart phone. It has four unique built in sounds to soothe your baby, as well as the option of connecting a MP3 device to it. You can adjust to any position for maximum comfort, full recline. The fabric is easily removable and machine washable. You can purchase this product directly from 4moms starting at 219$. They also sell it at retail stores like Babies R Us, Buybuy baby, and Bed Bath & Beyond. I am registered at Babies R Us and best believe this is product made it to my registry. ​ I fell in love with their gowns they are classy and elegant. They truly made me feel like a princess. I can’t wait to wear my gown for my baby shower. The gowns are so easy to put on, they slip right on. The material is soft and they are machine washable which is a huge plus. The best thing is that I will be able to wear it after I give birth as well. 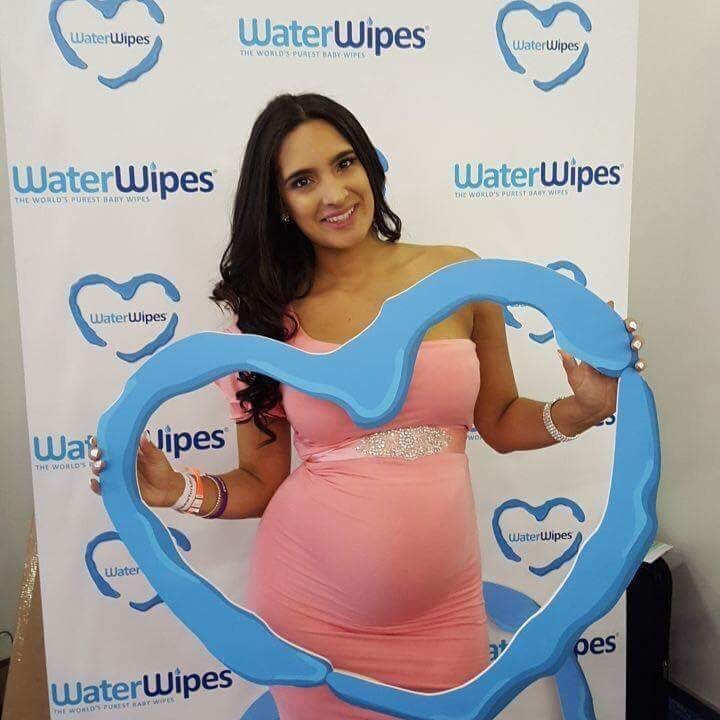 These wipes are made of 99.9 percent water and most importantly They are chemical free. I took a sample home with me and I compared it to other brands I had at home and I could feel and smell the difference. I would love to hear which where your favorite products from the baby show. I am very much looking forward to next years show.